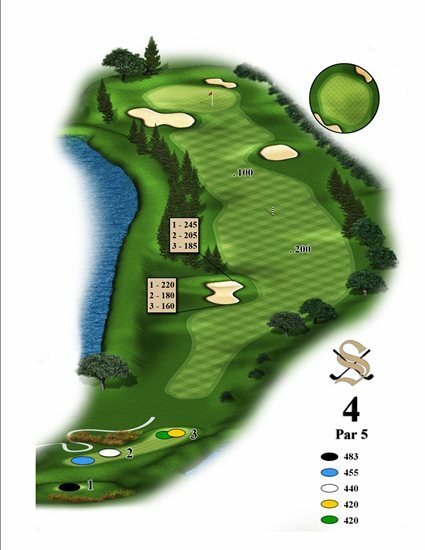 A relatively straight forward par 5. 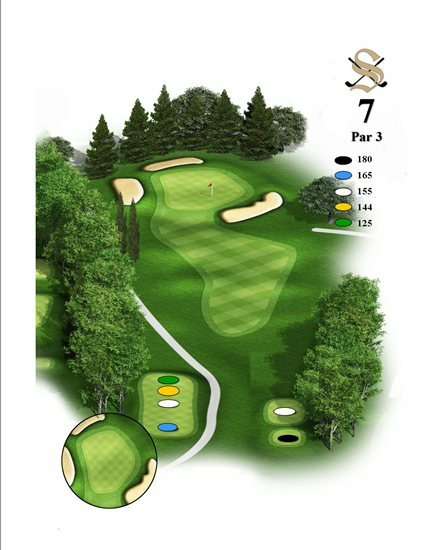 Aim your tee shot at the right hand clump of trees, as the fairway slopes from right to left. 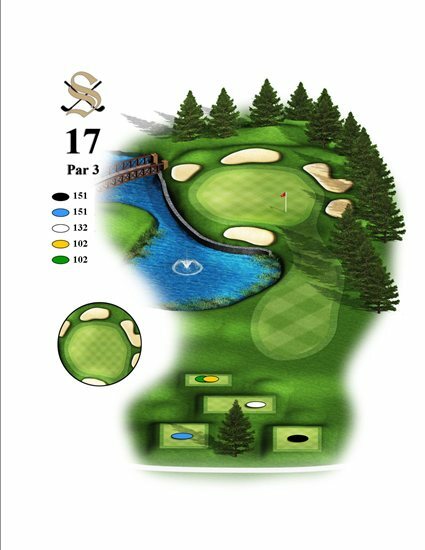 The longer hitters will have a chance to go for the green in two, but be careful of the water on the right side as it’s closer to the green than it appears. This par 4 is deceivingly tricky. The trees on the right side have a tendency to swallow up any golf balls that are hit their way. A good tee shot will leave you at the base of the hill, and remember to take an extra club as the green is up hill. This dogleg left par 4, is your typical risk/reward hole. With bunkers on the corner and water long, the landing area can be narrow depending on how much of the hole you’d like to cut off. The best play is to hit the ball to the 150 yard pole, leaving you with a relatively simple approach into a large sloping green. 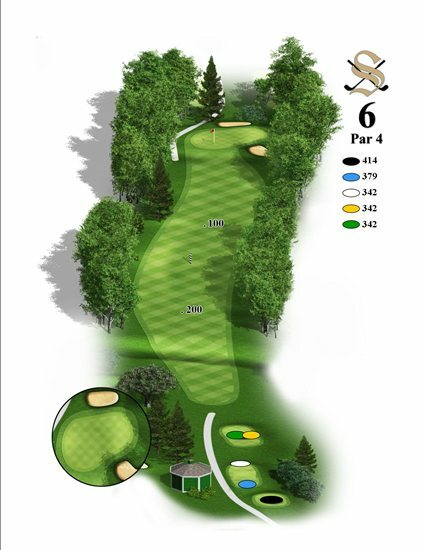 Try not to get lost in the beauty of the Sturgeon Valley, as this par 5 has gained some teeth. With the river guarding the right side, a forced carry over a pond and another pond up the left side, this hole has a tendency to empty the bag of golf balls. The hole has recently seen an upgrade in bunkers both at the landing area as well as around the green. 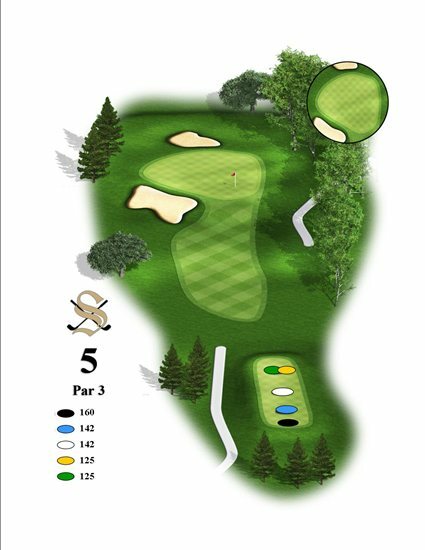 Long gone are the days of hole #4 being an easy par 5. 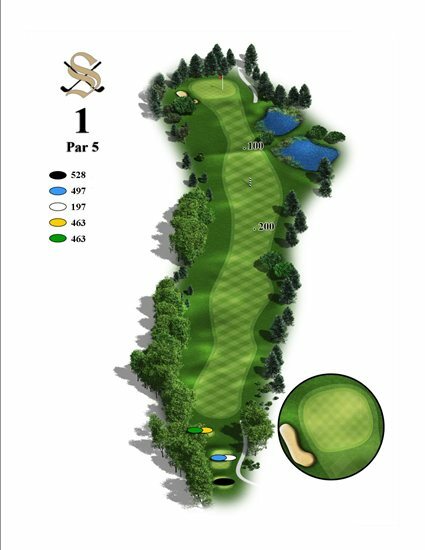 Our shortest par 3 on the golf course, what feels like it should be an easy par due to the distance, this is not always the case. 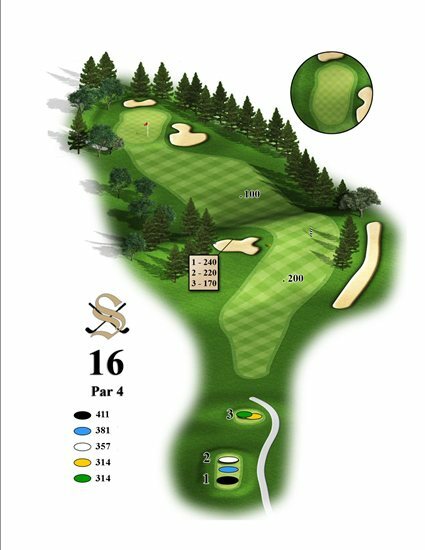 Hole #5 is an uphill par 3 that has one of the most undulated greens on the course. The green is also guarded by a bunker on the left hand side. You are now entering Amen corner of Sturgeon Valley. Holes #6 through #9 are easily the toughest stretch of holes. 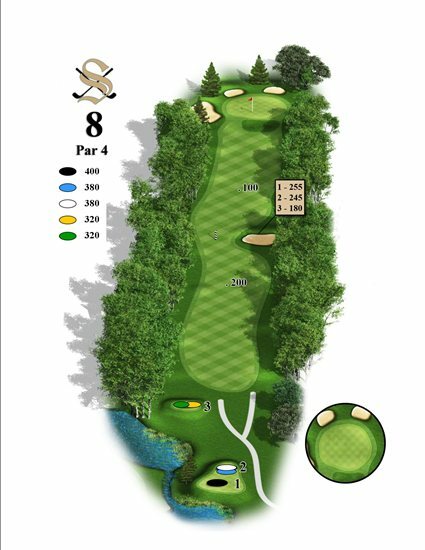 Hole #6 is a narrow, tree lined par 4 that feels like there is no room to miss your tee shot. 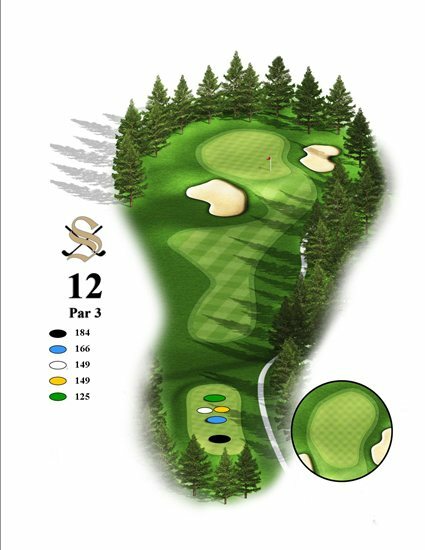 The key to this hole is to aim at the tall spruce tree that sits just off the fairway at the 100 yard mark of the hole. The green is one of the smallest on the golf course and is well protected by a bunker short right and a bunker on the back side. Pay close attention to what the wind is doing on this par 3, as you stand on the tee box more often then not you can’t feel the wind blowing. Once your ball makes it out of the sheltered tee boxes the wind will take your golf ball for a ride. This green is protected by three bunkers one on the front right and two on the left hand side. An accurate tee shot is required. 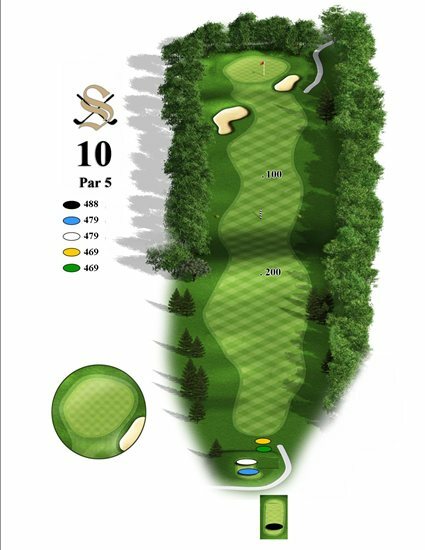 This par 4 is the tightest hole on the golf course, a good accurate tee shot will leave you in great shape to walk away with a par or better, but if you’re wild off the tee, well good luck. The 50+ year old trees guard the fairway and swallow golf balls that come their way. The green is also protected by grass bunkers where often you can find some of the ugliest lies on the golf course. Welcome to the hardest hole on the golf course. With the river guarding the right side and trees up the left hand side, this narrow hole sets up for a lefty that fades or a right hander that draws the golf ball. 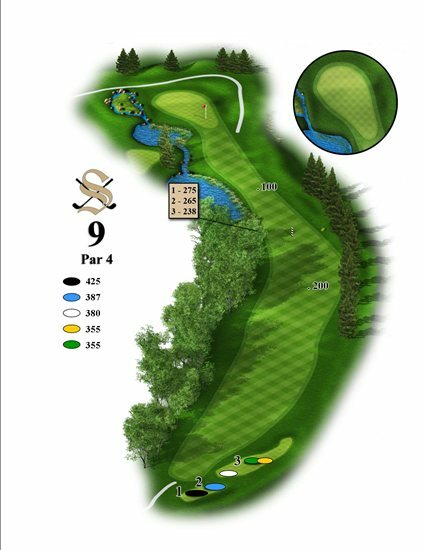 Once you have the golf ball in play off the tee, the green is well protected by a beautiful waterfall and pond on the left hand side and the Sturgeon River up the right hand side as well. This two tiered green will make you question your club choice depending on pin placement. 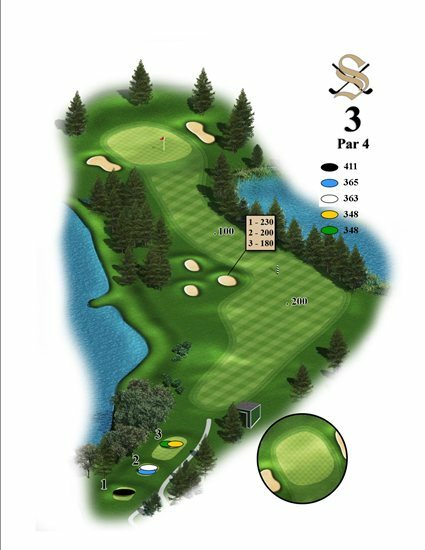 Probably one of the more intimidating tee shots, with the spectators in the clubhouse and Sturgeon Road as out of bounds on the right hand side, the best place to hit the shot is at the tree on the edge o f the left side of the fairway. Longer hitters will try and go for the green in two as the approach shot is downhill. The green is protected by a bunker 30 yards off the green and a bunker up the right hand side. The shortest par 4 on the course. This hole swings from right to left with a bunker on the left hand side of the fairway. Be careful on the approach shot as the green is slightly uphill and has bunkers on both sides and a false front of the green. The windiest par 3 on the golf course. You are at the mercy of the wind on this hole as it can play as much as two clubs longer depending on the wind. 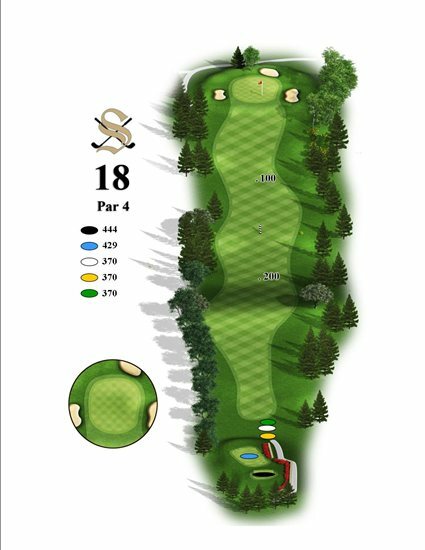 It’s a relatively long green from front to back but if you miss it to the left there is a good chance you will be blocked out by the big trees to save your par. Like most holes there is a bunker short left and on the right side waiting to devour golf balls. Another dogleg left par 4. 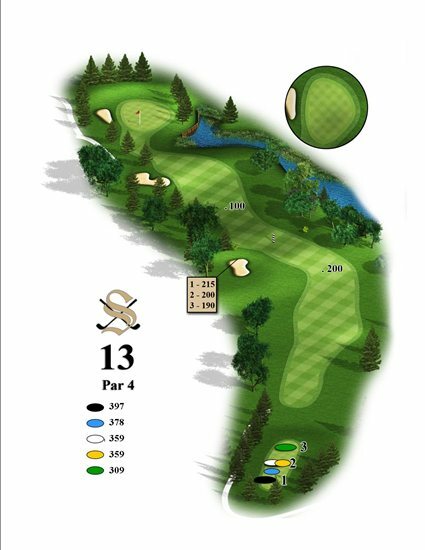 This hole has a very difficult approach shot as the gully and pond force you to carry the ball on to the green. The green is sloped severely from back to front and can be one of the fastest greens on the golf course. The tall trees on the right hand side make for an intimidating tee shot. This hole plays from left to right. 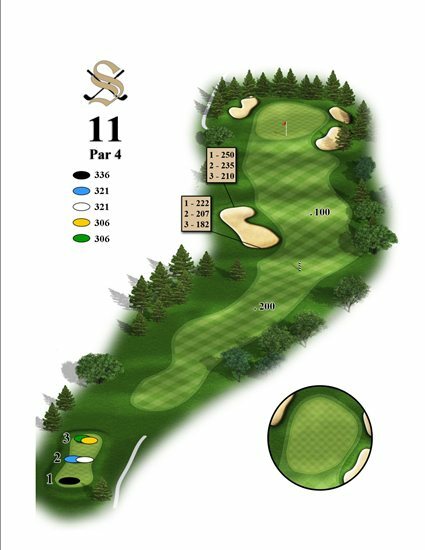 An accurate tee shot can make or break your chances of a good score on this par 4. The approach shot is uphill and the left hand side is protected by bunkers both front and back. 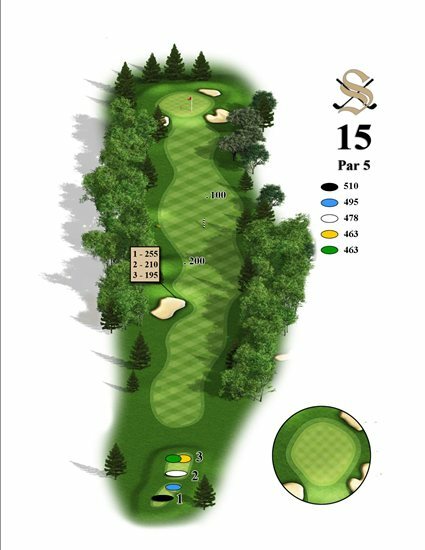 This par 5 typically plays down wind, so big tee shots can be seen here. The only true trouble are bunkers in the landing area and three bunkers around the green. This is a great hole to make your birdie run into the clubhouse. This par 4 plays uphill for the first half and downhill for the last half. The trees have matured on the left hand side which forces golfers to play the long way. A picturesque par 3, with bunkers surrounding the back and right side and water guarding the left and front side. An accurate shot is required if you want to walk away with par or better. Why not finish with a tough par 4. 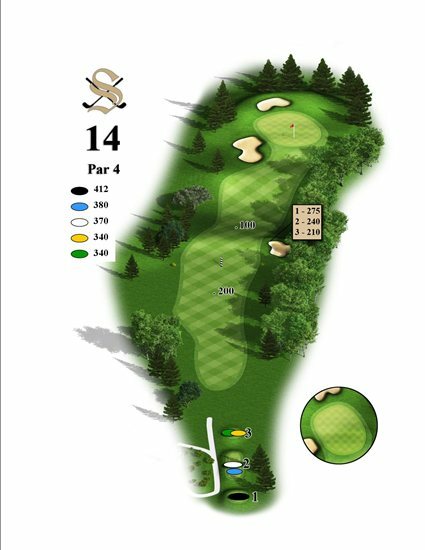 The 18th hole is our longest par 4 on the golf course and is a great way to finish a round of golf. With no frills or gimmicks our 18th hole is just a great finishing hole. 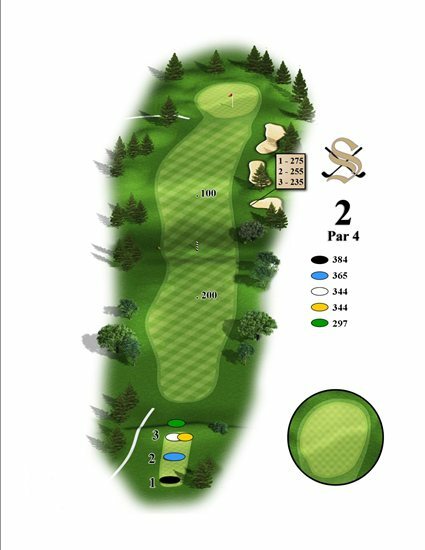 Try and hit your tee shot as far down the hill as possible to leave yourself less distance on your approach. This green is a large two tiered green with bunkers up the left and back right sides of the green. Making par on #18, is a great feeling and brings golfers back to Sturgeon to try and beat a relatively simple hole.